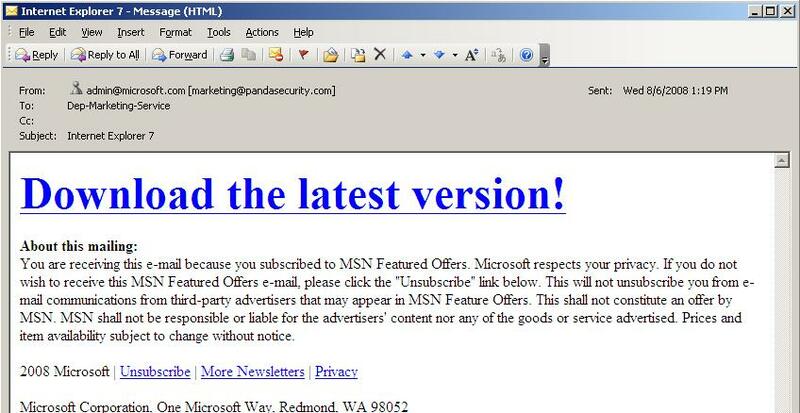 A few minutes ago we discovered another spam campaign this time offering an update to Microsoft Internet Explorer 7.0. What’s interesting about this particular message is it appears to be in exactly the same format as to what was used to distribute the get_flash_update.exe as seen in some attacks. The message comes from the address admin@microsoft.comor so it appears to be. When you click on the link an executable with the filename update.exe is downloaded (this is a downloader Trojan).